When you push a point, you get a line. When you push a line, you get a plane. When you push a plane, you get a solid. When you push a solid, you get a four-dimensional shape. The shadow of a four-dimensional shape is a solid. The shadow of a solid is a plane. The shadow of a plane is a line. The shadow of a line is a point. So, what is the shadow of a point? We live in a world of shadows. This little game got me thinking about them. What is a shadow like? First of all, a shadow tells me something about the object that casts it. For example, if I'm walking along I can usually tell what makes the shadow of a fence or building or person, even if I don't see the original object. I don't have ALL the information, though: I can't tell, for example, what the building might be made of, and I won't see the details like the windows or the doorframe. Furthermore, depending on the position of the sun the shadow's shape may be distorted. It's easiest to recognize the shadow if I already know what the object looks like; if I've never seen the particular object, I'll have a hard time imagining it from the shadow although I can take a guess. A shadow also can give a false impression. For example, if you ever played those shadow games with your hands when you were little, you know you could make all sorts of things that looked like they are there: A bird. An elephant. But really the shadows are just from contortions of your fingers, and you can even make your fingers look as if they are on top of each other when you hold your hands apart. The information conveyed in the shadow is sometimes misleading. 1. A shadow doesn't exist on its own, but must be derived from an object and a light source. 2. The shadow gives a hint about the nature of an object, although it's difficult to understand very much about the nature of the object from the shadow. 3. It's fairly easy to draw false conclusions about the casting object from its shadow. 4. Very different objects can cast a shadow that looks the same. While thinking about shadows, I can't help taking this to a theological bent wondering if this world is a shadow of the next world, the "real" world where God dwells. If this is so, the shapes of Heaven we see cast onto the screen of this Earth are very limited, possibly distorted, bits of information of the real world. In this world we have not seen the objects casting the shadow, although humans seem to have a universal understanding of some of these objects. I think this is because our souls are attached to the three-dimensional filter of our bodies in this world, but the soul is a "real" object, not of this Earth. An example of our understanding of an object without its being here is moral behavior or a sense of right and wrong. Every culture since the beginning of time has had a sense of acceptable and unacceptable behavior. Furthermore, the same things are always present: it's wrong to murder. It's wrong to steal. It's wrong to sleep with your neighbor's spouse. Where does this moral sense come from? An atheist would say this sense has an evolutionary value. Maybe. But how is it evolutionarily advantageous for a fireman to sacrifice himself for strangers in a burning building? Richard Dawkins worked with this problem in The Selfish Gene, but somehow I never felt that he made a compelling evolutionary case for the advantages of sacrificial, moral behavior. Another example of our understanding something that doesn't exist on this Earth is our sense of immortality. Death is the most natural and pervasive element on this world, is it not? So, why should people be surprised when they learn that someone they knew has died, or that they themselves have been diagnosed with a terminal illness? Where does this sense of "living forever" come from? Every culture seems to have or have had a sense of life beyond the grave. Although there are many opportunities and an incredible variety of human lives, the human life cycle seems in some ways quite limited. We are born, we are children, we become adults, marry, have children, work to survive, grow old, grow sick, and die. The heights of human experience are fairly stereotyped: love between two individuals, or a great accomplishment in a field of endeavor. Thought of in this way, these high experiences could be like shadows, showing a simple edge but no detail and possibly distorted. In Heaven, there are probably multiple types of very different and great high experiences, all casting shadows that look similar here on Earth. I don't know if I'm expressing this clearly, but I like the idea of thinking of this human life on Earth as a shadow. The single important task of this life for each individual is to recognize God, while He has drawn the curtain over Himself so that we are not coerced into responding to Him. He is so overwhelming that once this curtain is drawn back at the moment of death no one will be able to resist His presence. But He wishes for His creatures to follow Him of their own volition not force, to want to be with Him, the incomparably beautiful Being from whom all good things flow. This moment, now, is the only time we have to choose Him. This cake worked out fabulously! It's perfect for summer. Arthur Laffer is an economist whose "supply side" theories guided Ronald Reagan's economic policies in the 80s. He wrote an editorial in The Wall Street Journal on Monday June 7th 2010 about the future of the American economy that is cautionary and worrisome. 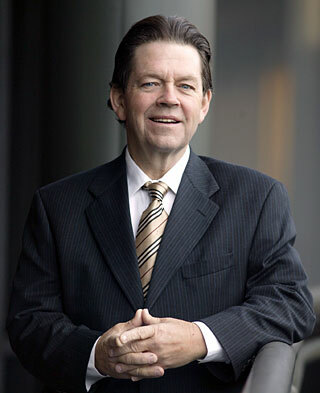 Laffer says that “Tax rate increases next year are everywhere.” He thinks that the coming hikes, along with the prospect of rising prices, higher interest rates and more regulations next year, are causing businesses to shift production and income from 2011 to 2010 to the greatest extent possible. “As a result, income this year has already been inflated above where it otherwise should be and next year, 2011, income will be lower than it otherwise should be,” Laffer says. Laffer is the originator of the "Laffer Curve" that theorizes that under certain circumstances decreases in tax rates can result in increased tax revenues. "It shouldn't surprise anyone that the nine states without an income tax are growing far faster and attracting more people than are the nine states with the highest income tax rates,” he says. Laffer observes that Reagan's delayed tax cuts, which were passed under the Economic Recovery Tax Act in 1981 but didn’t take effect until 1983, were the mirror image of President Barack Obama's delayed tax rate increases. In 1983, the economy took off like a rocket, with average real growth reaching 7.5 percent in 1983 and 5.5 percent in 1984. Mr. Obama's experience with deferred tax rate increases will be the reverse. Laffer predicts that the USA economy if it continues along current policies will collapse in 2011. "Incentives matter," Laffer says. “If you thought deficits and unemployment have been bad lately, you ain't seen nothing yet.” If the government taxes people who work and pays people not to work, the result will be that fewer people will work. Have you ever been tempted? Not by something little, like whether you should eat that chocolate brownie, but a big thing that takes your breath away. A million dollars. Revenge. The leadership of your organization. The love of your life. What do you do if you could take what you desire, but you know you shouldn't? One of my favorite quotes about temptation is from CS Lewis' Mere Christianity: "No man knows how bad he is till he has tried very hard to be good. A silly idea is current that good people do not know what temptation means. This is an obvious lie. Only those who try to resist temptation know how strong it is. After all, you find out the strength of the German army by fighting against it, not by giving in. You find out the strength of a wind by trying to walk against it, not by lying down. A man who gives in to temptation after five minutes simply does not know what it would have been like an hour later. That is why bad people, in one sense, know very little about badness. They have lived a sheltered life by always giving in. We never find out the strength of the evil impulse inside us until we try to fight it: and Christ, because he was the only man who never yielded to temptation, is also the only man who knows to the full what temptation means -- the only complete realist." Fighting a temptation is hard work, and it can be a lasting fight: for days, months, occasionally a lifetime. So what keeps someone from succumbing to a temptation? Let me suggest one remedy: Love. Of course there are different types of meaning for that word that we use: love of self, affection, friendship, eros (romantic/sexual), agape. I'm talking about the agape selfless love. As described by Lewis, "Love is not affectionate feeling, but a steady wish for the loved person's ultimate good as far as it can be obtained." (Answers to Questions on Christianity). It is the love that recognizes how your actions affect others for good or for ill, the decision to be willing to sacrifice for the other. The highest form of Love. While showing agape may seem unreasonable, don't we all admire this, for example in the man who goes back into a burning building to rescue a child? Let me suggest that aiming for this standard will inevitably lessen the temptation's bad effects, if not the pain of the battle. If you haven't been greatly tempted yet, don't be like the man Shakespeare describes when he says, "He jests at scars that never felt a wound." (Romeo and Juliet, act 2 scene 2). The temptation may come to you in a way or form that you might not expect. Decide, now, that you are, that you must be, strong enough to overcome. Since I'm sticking on CS Lewis today, let me tell one more story of his, from The Magician's Nephew (One of the Chronicles of Narnia). In the book, Aslan the great lion tells a little boy that he must go on a journey to fetch a magical apple that will protect Narnia. The little boy retrieves it, but then is tempted by a witch that the apple could instead restore his dying mother. He struggles but withstands the suggestion, his heart's desire, and instead brings the apple back to Aslan. 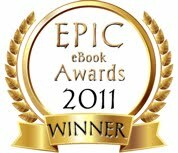 Aslan says, "Well done. For this fruit you have hungered and thirsted and wept. No hand but yours shall sow the seed of the Tree that is to be the protection of Narnia." The little boy plants the apple, and a tree quickly grows. Aslan then invites the little boy to take an apple back to his mother. "The stolen apple," Aslan explains, "would have healed her, but not to your joy or hers. The day would have come when both you and she would have looked back and said it would have been better to die in that illness...[but] it is not what will happen now. What I give you now will bring joy." A fairy tale? Maybe. But I believe Lewis tapped into a rich truth of the universe, that good and bad do exist, and that our actions do matter. Stand strong. You don't know what unseen forces may be set into play. When I was very little, I remember my mom saying this to me. I didn't get it, but I'm older now, and now I'm understanding the deep wisdom of this saying. Missed opportunities and bad choices are heavy burdens to carry. Even when a decision is carefully weighed and wisely acted upon, events can occur to retroactively make that decision a bad one. This weekend I was moping about Lever. I called a store last week to see if they'd carry it, and the woman I talked to was breezy, just said, "of course, we'll need to see it first." I figured out what bothered me was that she hadn't asked first what the book was about, only about the discount, before telling me to send it on. Yup, another book, ka-ching. I've done this route before -- calling stores and at least describing the book to fire up a little interest before sending it on. Even with this preparation, I've had zero success with this particular tactic (although I'm still convinced it's a good strategy). See what I mean about moping? I'm losing focus. This is God's book, and He will bring it to those who might benefit from the message, whether it's two or two-million people. Lord, please forgive me and help me keep my eyes on you. Like most people, I carry different burdens and regrets and "if-only's" but really, these are not glorifying to God. Doesn't He say that He will guide our steps? So, today, I'm going to look ahead and leave the past behind. The Twilight vampire series is still hot, probably because of the movies that are now coming out about this. I just saw an advertisement for the latest installment. When I read these books, I was struck by Bella's horror of aging and dying, and her great desire to be "immortal" as well as to be with Edward "forever." The gifts that the vampire receives include eternal youth, amazing physical abilities, and often a special sense or psychic talent. The vampire also receives a powerful desire to kill and drink blood. The Cullens deal with this by hunting animals rather than people. I couldn't help feeling a strong antipathy towards this type of vampire existence, especially because it is portrayed so enticingly and mixed so liberally with powerful (unrealistic) romance. These books are popular with young girls who do not yet understand the negatives that might be inherent within this type of lifestyle. The vampire still operates on a flawed Earth, and is subject to many negative influences including anger and death (of others and potentially themselves). The vampire also has a sense that he or she is "special": he or she has been drawn out of the pool of mortals to live a special, charmed life. Contrast this with the Christian view of life: all people are immortal. This existence on Earth, now, is a brief preliminary that allows each individual to decide whether he will turn to God or go his own way. This choice is cemented at death. Jesus talked more about hell than anyone else in the Bible, and also more than any other subject. Hell is eternal separation from God who is the source of all good things. "It is a serious thing to live in a society of possible gods and goddesses, to remember that the dullest and most uninteresting person you can talk to may one day be a creature which, if you saw it now, you would be strongly tempted to worship, or else a horror and a corruption such as you now meet, if at all, only in a nightmare. All day long we are, in some degree, helping each other to one or other of these destinations, It is in the light of these overwhelming possibilities, it is with the awe and the circumspection proper to them, that we should conduct all our dealings with one another, all friendships, all loves, all play, all politics. There are no ordinary people. You have never talked to a mere mortal...it is immortals whom we joke with, work with, marry, snub, and exploit -- immortal horrors or everlasting splendours."